Marposs Diamond systems from Marposs redefine the rules of on-machine part measurement, where precision requirements are pushed to the limits daily. You get consistent quality, high part precision, less waste and more profit. 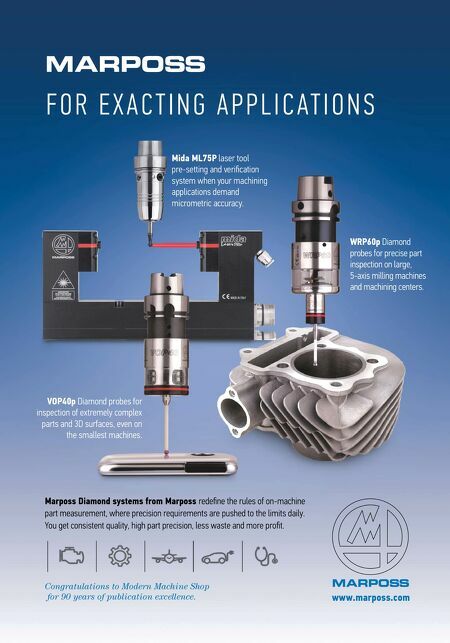 www.marposs.com F O R E X A C T I N G A P P L I C A T I O N S Mida ML75P laser tool pre-setting and verification system when your machining applications demand micrometric accuracy. WRP60p Diamond probes for precise part inspection on large, 5-axis milling machines and machining centers. VOP40p Diamond probes for inspection of extremely complex parts and 3D surfaces, even on the smallest machines. 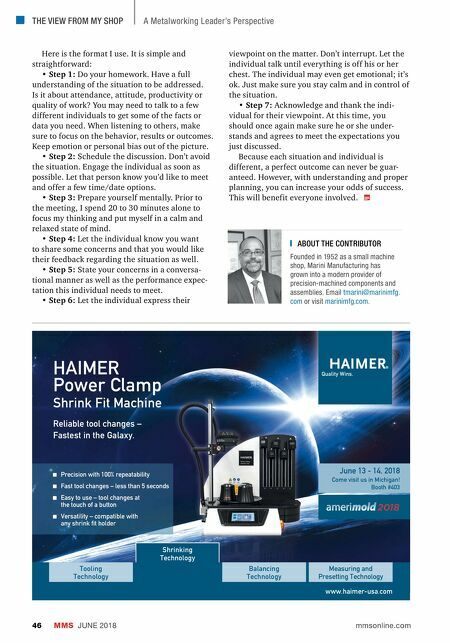 Congratulations to Modern Machine Shop for 90 years of publication excellence.